Buying a new television is not a decision to be made lightly. There are so many makes and models that even the most careful, selective buyer can have a hard time deciding which features are necessary, and which ones are merely frivolous. Fortunately, many features can be categorized and quantified to help determine which model is right for you. 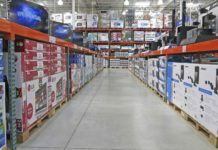 Then, once you’ve narrowed down your list of possible purchases, you can visit a local big box retailer and research the one feature that is harder to quantify: picture quality. TV picture quality is a very subjective measurement, and can only be assessed in the eye of the beholder. However, there are many other factors that can be considered well in advance of ever stepping foot in a retailer. Television screens today range in size from 5 inches to more than 100 inches diagonally, and the size you choose depends largely on the size of the room and your relative proximity to the TV screen. For bedrooms, I generally recommend a screen that is at least 32 inches, while living rooms or other viewing rooms generally fare better with a 40-inch screen or larger. This is especially important if you are upgrading from an older tube TV. One of the biggest complaints many TV buyers have after making a purchase is that they simply didn’t get a large enough TV. So, just how big is too big? The answer lies in your budget constraints, your tastes, and the size of the space where you want to place the new TV. Generally speaking, it is advisable to purchase the largest screen you can comfortably afford, as this helps to prevent buyer’s remorse later. However, if you are trying to fit the new TV into an existing entertainment center, you need to make sure it will fit comfortably. The new set should allow for one inch of space to surround it on all sides. The easiest way to gauge whether your intended TV purchase will fit comfortably in your room is to cut out a piece of cardboard to the size of your potential TV and set it in place. This provides a sense of the presence the TV will have in your room. Also be sure to account for the amount of space you have between you and your TV. The rule of thumb is that you should sit no closer than one-and-a-half inches from your TV for every one inch of diagonal screen space. This puts you at a perfect viewing distance. Of course, you can choose to sit farther away, but the experience will be less immersive. For example, your couch should be situated 75 inches away from the TV set if your screen size measures 50 inches from the top right-hand corner to the lower left-hand corner. Once you decide on the desired screen size, you need to choose a display type. Flat screen TVs come in a couple of different platforms: plasma, LCD, and LED. Most are LCD-based because they are cheaper to make; in fact, anything smaller than 42 inches is LCD (that’s all that’s available), which narrows your choices considerably if you decide on that size. Understand that an LED TV is just an LCD TV with fancy backlighting. However, this backlighting costs a lot more than a standard LCD TV. Many technology buffs believe that the technology rarely justifies the increased price. Best for: General use in brighter rooms where potential flaws won’t be as visible as they would be in dark rooms. Pros: Light energy usage compared to plasma models. Matte screens work well in bright rooms. Cons: Dark-room performance is usually worse than plasma. These models also provide minimal viewing angles and uniformity. Best for: Big spenders who want thin panels. Pros: Better energy savings than LCD. Many LED models offer super thin panels, and some models have improved picture quality. Cons: Expensive – sometimes prohibitively so. Also, most LED TVs offer little picture quality benefit over LCD. Best for: General use, except in bright-room viewing. Aficionados who put a premium on dark-room picture quality may appreciate a plasma TV. Pros: Superior black-level performance, uniformity, and viewing angles. Cons: High power consumption. Also, the glass screen can reflect light in bright rooms. 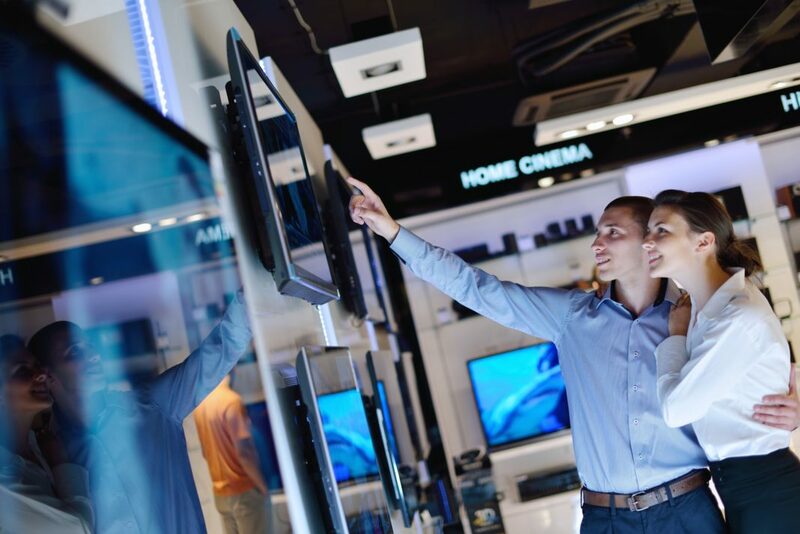 HDTVs offer consumers a lot to think about in terms of specs and capabilities. However, many of these can be overlooked. Why? Because the human eye can’t tell the difference in many cases. Manufacturers often list a litany of specs designed to convince you that their TV is better than their competitors’. Refresh Rate (60Hz, 120Hz, 240Hz, 480Hz, 600Hz): The refresh rate refers to the number of times an image is refreshed on the screen. The main reason that this is a highly touted feature is because LCD TVs have long had a reputation for having a blurry display during high-action scenes. But what manufacturers don’t tell you is that the human eye can’t perceive the blur at even the lowest refresh rate (60Hz). Resolution (720p, 1080p): I’m sure you’ve heard the commercials touting the importance of having an HDTV that can produce images in true high def (1080p). The problem is that even though most TVs of today are 1080p, you can’t tell any significant difference between this resolution and the less expensive 720p models – unless you have a super-sized screen. Viewing Angle: The ideal TV stays bright and colorful when viewed from any angle. But the truth is, with LCD TVs, this never happens, despite the manufacturer’s claims to the contrary. The rule of thumb here is that if you have viewing angles that stray too far from dead center, then you will most likely be happier with a plasma TV. Inputs: The inputs are the connection points where you attach your peripheral equipment. The most important thing to remember here is to get a TV with as many HDMI ports as possible. This allows you to easily connect your video game system, video player, and home audio system. If you have older peripherals with other types of connections, make sure that the TV you choose has those connections available as well. Screen Finish: If bright-room viewing is going to be a mainstay of your viewing experience, you need your TV to have a matte finish. This cuts down on ambient light glare and reflections. However, this may be a problem for you if you are looking for a few other features, as the higher-end LCDs and plasmas tend to come with glossy screens only. Remote Control: Unless you plan to use a universal remote to cut down on remote clutter, pay special attention to the included clicker. 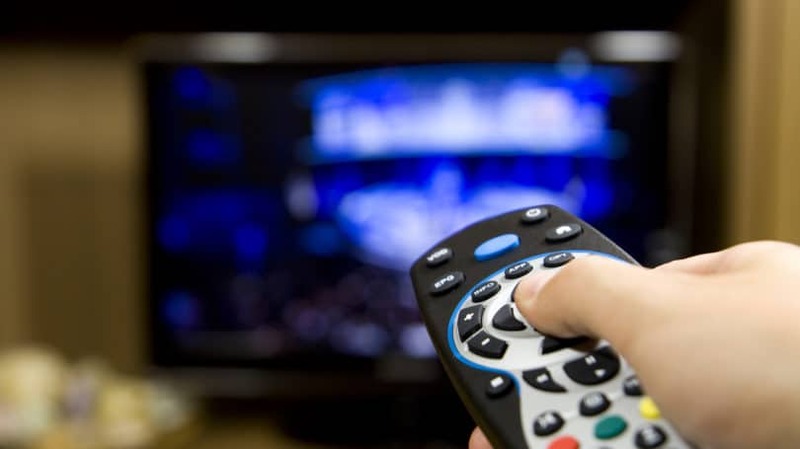 Some models have remotes that allow you to program peripheral equipment controls into its interface, and larger TVs should include a backlit model. Picture Controls: Everyone likes to see the picture a little differently. Some like a darker picture, while others like it brighter. Bringing the colors in line might also be a challenge if you are missing picture controls. Look for TVs with plenty of picture presets, as well as the ability for users to tweak those presets to optimize the picture. Ease of Use and Support: User-friendly TVs are the only way to go, especially in the world of multi-feature models. Look for easy-to-use menu systems that allow you to intuitively set the TV to perform the way you want. I personally love onscreen manuals that include product support sections including phone numbers, troubleshooting steps, and setup guides. In addition to basic features, many TVs come with a plethora of extras that add to the overall cost of the unit. But how do you know if you will use what you pay for? Each consumer has a short list of those features they consider to be worth the cost, and it’s up to you to make your own determinations. 3D: At-home 3D content is a relatively new technology – most manufacturers hit the market with this in 2010. Only higher-end manufacturers are offering TVs that have at-home 3D capability, and they charge quite a premium. Of course, buying the TV is only half of the equation – you must also purchase special glasses and 3D content to take advantage of the technology. Most consumers aren’t ready for the additional financial burden of this technology just yet, but for those who are looking for the latest and greatest, this is it. 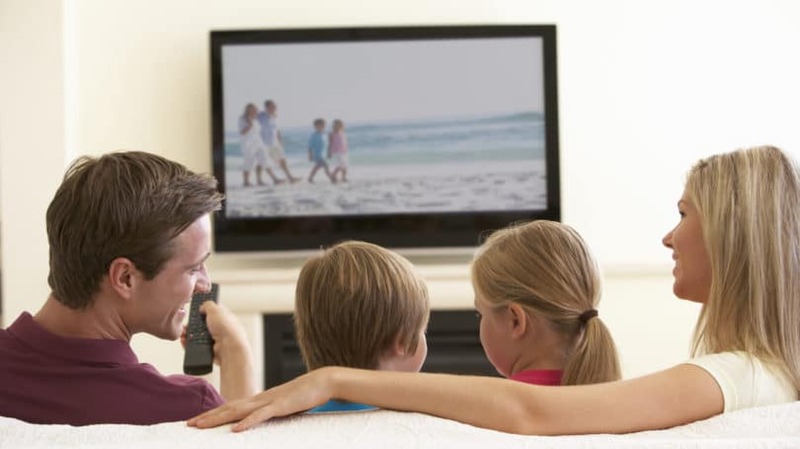 Internet Connectivity: Mid-range to higher-end TVs now offer integrated Internet capability, which eliminates the need to connect your TV via wired connection to stream audio and video content from sites like Netflix, Hulu Plus, and Amazon Prime. Some even have integrated browsers, which allow you surf the Internet and interact with friends on Facebook on the big screen. Before you indulge in this particular feature, however, understand that you may have to purchase additional equipment, such as a wireless dongle or Ethernet cable to connect. And if you already have a newer gaming system connected, you can access the same features without the extra cost. LED Backlight: LCD-based TVs that utilize LED technology are significantly more expensive than those that rely on the standard fluorescent (CCFL) backlights. Unless this technology is also accompanied by the use of local dimming, there really isn’t any advantage to spending the additional cash on the LED technology. Of course, LED TVs can be manufactured with razor-thin panels, so if the look is a must-have, then LED backlighting is for you. Buy Cheap HDMI Cables. Don’t let a salesman talk you into purchasing expensive HDMI cables – the cheap ones are just as good as the expensive ones. Get a Surge Protector. No consumer should gamble with their new investment by plugging it directly into the wall. Get a surge protector – it won’t give you a better picture, but not having one could definitely put a dent in your viewing experience. Consider Room Treatments. Watching TV in a brightly lit room results in a washed-out picture and an unpleasant viewing experience. You don’t need to build a home movie theater room, but I firmly recommend that consumers equip a viewing room with room darkening curtains to block out some of the sunlight. This prevents image fade on the screen, as well as reflection and glare. There is no doubt that you can get a really good deal by buying your new TV online, but I highly suggest that you do your research before you commit to a purchase. First, make sure that you have thoroughly “test-driven” the models on your short list by visiting your local retail consumer electronics outlet. This ensures that you are happy with the picture quality, the menu structures, and the accessibility of the connection ports. Next, be sure to only buy your TV from a reputable consumer electronics store that has been around for awhile and has a proven track record of delivering solid customer service. Lastly, check the online store’s policy regarding refunds, as situations may arise that could require you to return the unit. 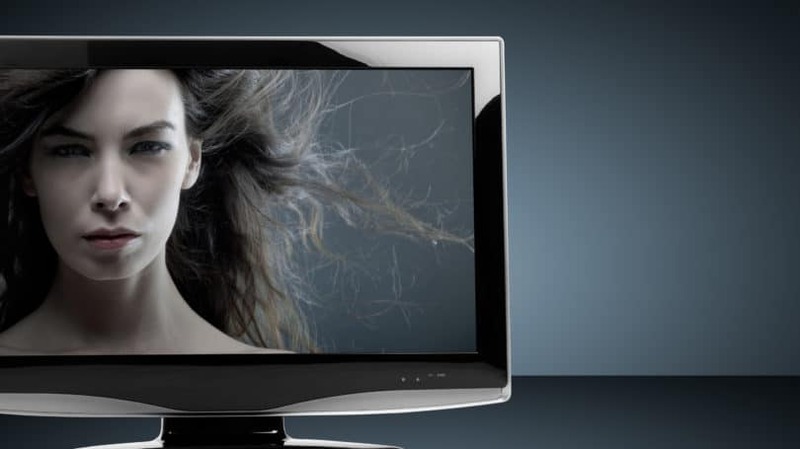 Will the online store take the TV back? Are there certain conditions that must be met in order to return it? Is there an RMA process you need to follow in order to send it back? Is there a restocking fee? Do you have to pay to ship it back? All of these questions should be answered in print before you hit the “confirm” button; otherwise, you run the risk of your new television set costing you much more than you had anticipated. You may also wonder whether you should purchase the extended warranty. Flat screen TVs cost quite a bit of money, and you surely want to protect your investment. However, I strongly recommend that you avoid the extended warranty and buy a surge protector instead. This is because extended warranties are designed to cover catastrophic failures, which can happen, but are less likely to occur than a power surge. Plus, if you make your purchase using a credit card, many providers automatically double the manufacturer’s warranty free of charge. Check with your credit card issuer for details. 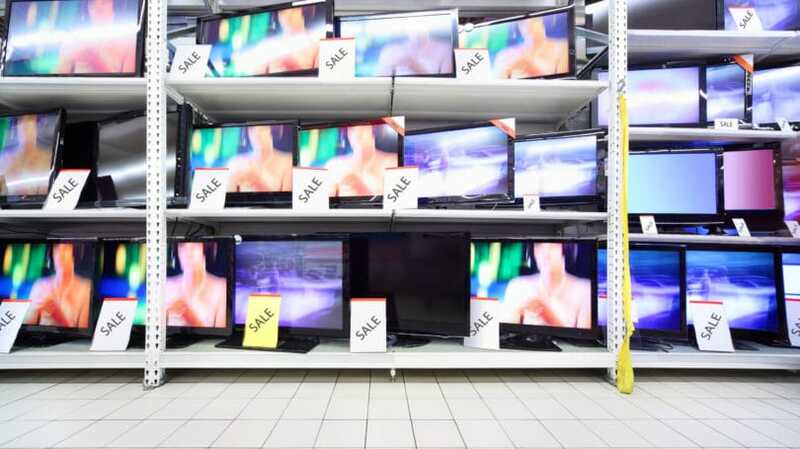 Are you in the market to buy a new TV soon? What other tips do you recommend when purchasing a flat screen TV?